This is going to be a quick one, and I don’t have a picture. First Rising Mt. Zion, just looking at the 1957 survey answers appears to have been a more working-class Black church, where many of the members lived in the urban renewal area. With the previous surveys for other Black churches in Shaw, I was seeing a more middle-class group and began forming a theory behind it, and then this shows up in the rotation and blows that theory to heck. Well, this survey and the church’s own history. 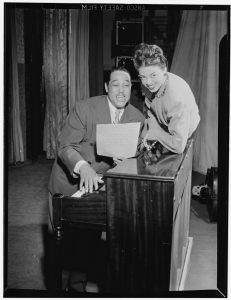 The 1957 survey has Rev. Ernest Gibson as the head pastor, and when we drop down to his tenure as the shepherd of the flock their history has this to say. Rev. Ernest R. Gibson, Sr. was called as the second pastor of First Rising on January 14, 1952 and began his tenure of service on February 3, 1952. 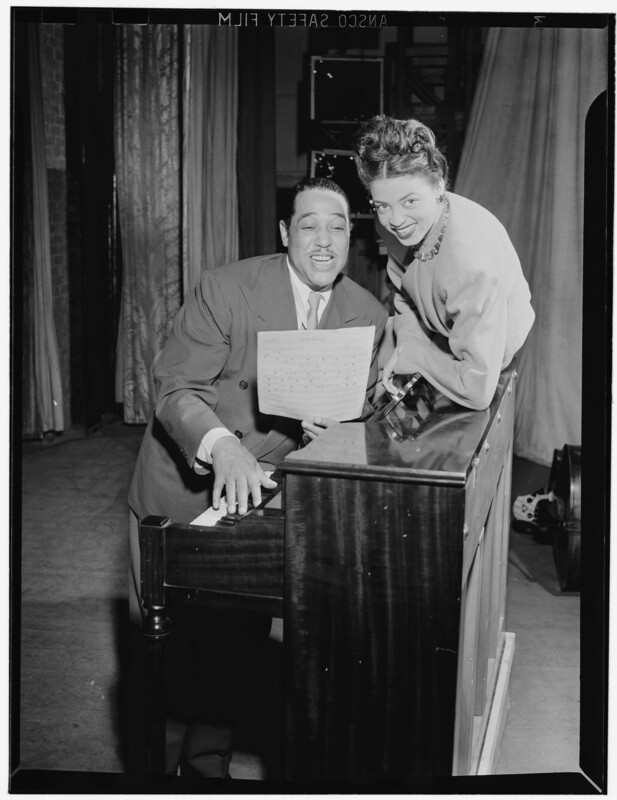 He came to First Rising with his wife, Mrs. Etta C. Gibson, and three children, Ernest, Jr., Delores and Mark. During Rev. Gibson’s tenure, payments on the property at 1215 8th Street, NW were completed in 1952. 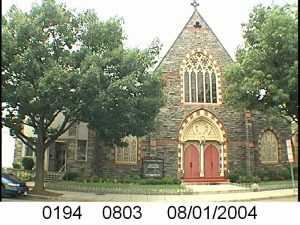 In December 1954, the red brick church on the corner of 6th and N Streets, NW was purchased; the second trust of the church was paid off on October 22, 1966, and the mortgage burning ceremony was held on Sunday, May 21, 1967. So in 1957, they were kinda new to the block. Their previous location of 1215 8th Street NW is currently somewhere inside the Convention Center. They moved around a little bit since their founding in 1939. Okay, back to the demographics of the church. 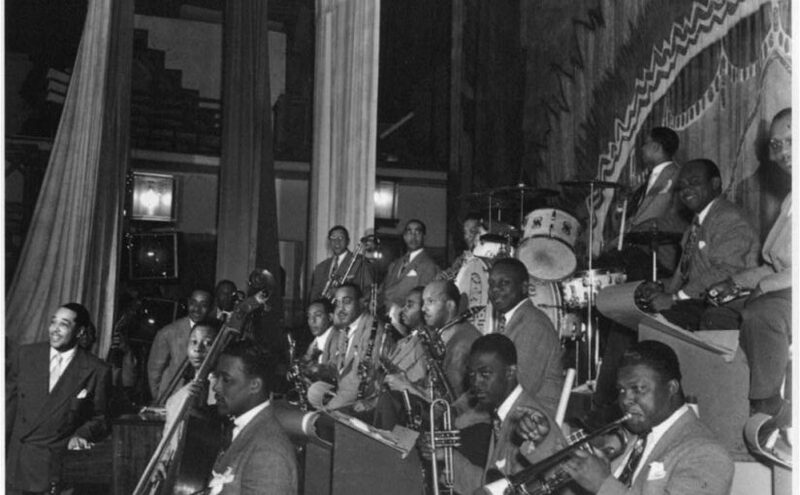 It was an African American church with a large unskilled manual labor workforce membership (62%). The professionals (5%) and white collar (15%) parishioners were a smaller percentage. 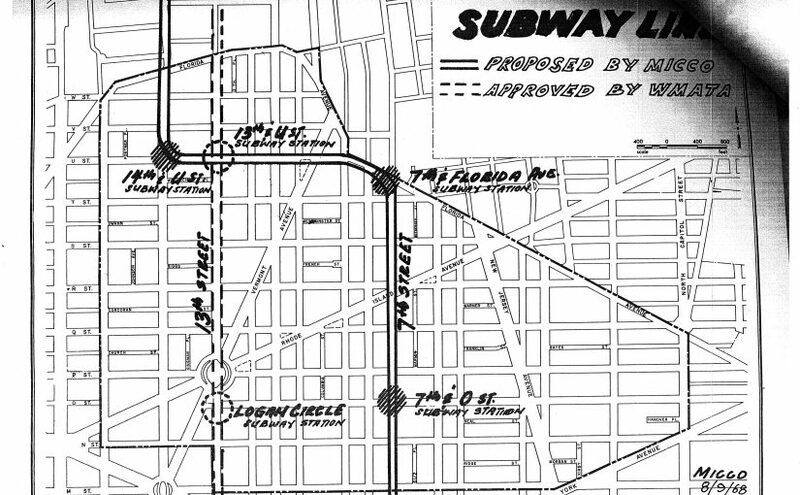 Considering the economics of the neighborhood in 1957, it would make sense that the church would draw its working class membership from the surrounding area. 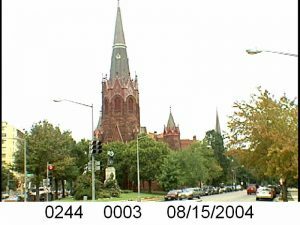 Okay, let’s get back to the boring church surveys….well they can be exciting when you take them in as a whole looking at the changes of the neighborhood. They also chip away at an idea that some churches have been here since the dawn of time. Just as there is this myth that certain people have been in the neighborhood since a vague forever. People move around. We are aware of it, but sometimes we don’t apply this knowledge. 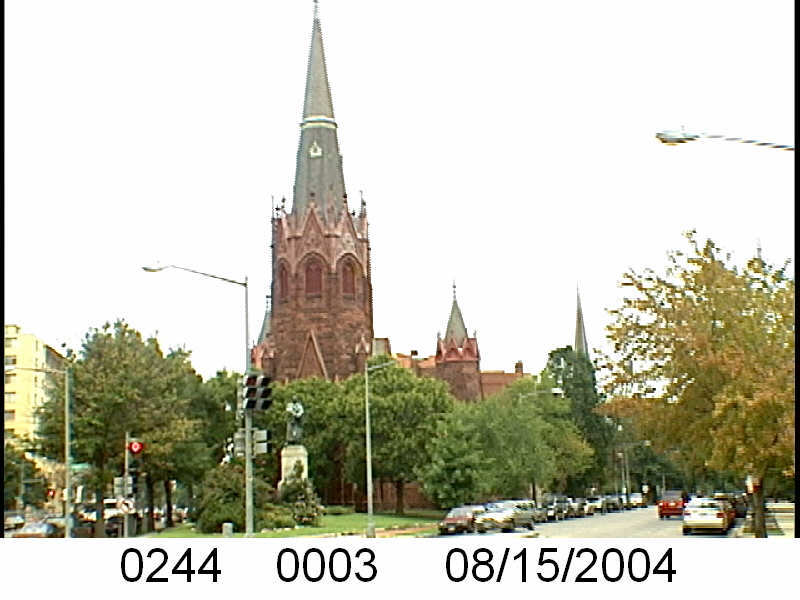 Churches, they also move around, let’s take the church at 44 Q Street NW in Truxton Circle. According to the survey, this was previously the chapel for St. Agnes, a Roman Catholic church I believe. I think there was a graveyard where Eckington is, that was associated with St. Agnes. At some point in time, maybe 1949, the Catholics moved on and the Baptists moved in. 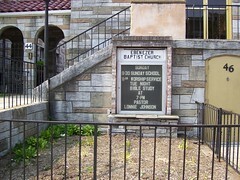 Corinthian Baptist Church is a church constantly on the move. According to the survey they were founded in 1919 at 4th and New York Ave. From 1920-23 they moved south to 4th and K. Then in 1923 they moved north to 4th and Q, possibly where the Fourth Street Seventh Day Adventists sit, but I’d have to research that further. 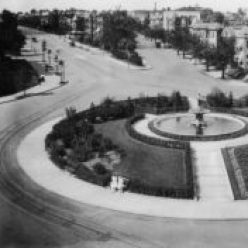 Then in 1932, they moved a block over to where Mt. Sinai sits at 1615 3rd St NW. I gather they moved to 44 Q St NW in 1949. When the survey was done, they were already thinking about moving to 5th and I St NW, and they did. I found a Facebook page with some great 80s photos of church members at the 502 I Street NW location in Chinatown. Currently, the Chinese Community Church is in that location. As of April 14, 2019, Corinthian Baptist Church (the same one I think, not 100% sure) is in Lanham, MD. I don’t know when Ebenezer Baptist replaced the itchy-footed Corinthian Baptists, but that is the church that currently sits on that spot. 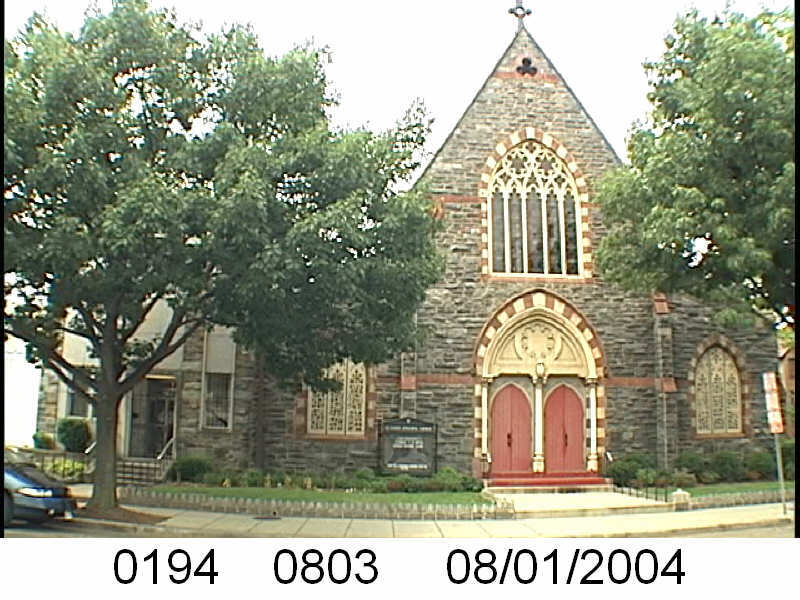 For the time Corinthian Baptist was in Truxton Circle, it drew a number of congregants from the community. 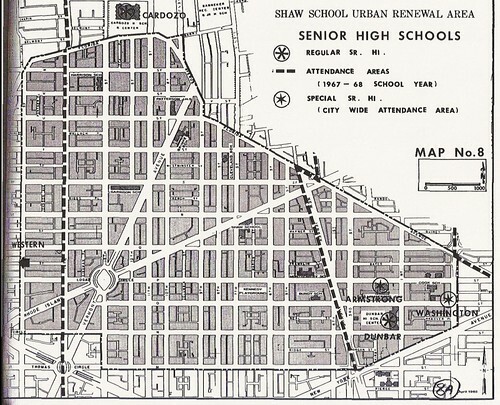 They estimated about 33.5% of their members lived in the Northwest Urban Renewal Area (parts later to become the Shaw School Urban Renewal Area), and 66% lived in other parts of the city. I will dare to say this was a middle class, white collar African-American church, as they claimed a large percentage (no numbers given) were government workers. Also, 4-5% of the roughly 800 members were professionals. Back in the aughts, I was looking for an Episcopal Church (St. A &A) but I had the address all wrong. I knew it was somewhere near or along Massachusetts Avenue but I was lost. I was running out of time, and so I saw Luther Place and thought ‘Episcopal/ Lutheran…. close enough’, and joined them for service. Looking at the 1957 Church Survey for Luther Place, the congregational makeup is fairly similar to the small crowd of people I encountered when I wandered in sometime between 2000-08, mostly white. It was a very small group and it was so long ago. The 1957 crowd mostly (67%) lived in other parts of the city and good quarter living in the ‘burbs. I’m sensing a trend of 1957 Shaw churches being commuter churches. UPDATE: Added Luther Place to the title.